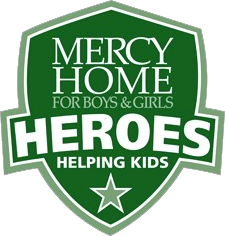 My name is Jim Harding and I am the coordinator of our Mercy Home Heroes program. We are excited to have you join our team, which helps bring healing and hope to the boys and girls of Mercy Home. We provide life-changing care and support services to abused and at-risk youth while promoting healing for families and communities. I have run the Chicago Marathon 12 times, including nine times as a pace team leader with New Balance and Nike, so I have an intimate knowledge of the race. I also have completed three ultramarathons. I participated in the Chicago Marathon and the Hood to Coast Relay with Team World Vision, fundraising more than $20,000 total for the two events. In 2017, I ran a 50k for my 50th birthday on a 1-kilometer loop around our boys campus and raised more than $5,000 for our kids. I am well-prepared and excited to help you succeed in your training and fundraising. I joined Mercy Home in August 2016 after 25 years as an editor in the Sports Department of the Chicago Tribune. I am blessed to have the opportunity to serve you on your journey and am always available for questions or just to chat. Thanks for being a Hero to our kids!